Recently, as part of their reading lesson, 5th-grade students were posed with the question “How does technology lead to creative ideas?”. In the midst of their discussions, a real-life opportunity to see technology at work presented itself in the form of a tree being cut down outside their classroom. 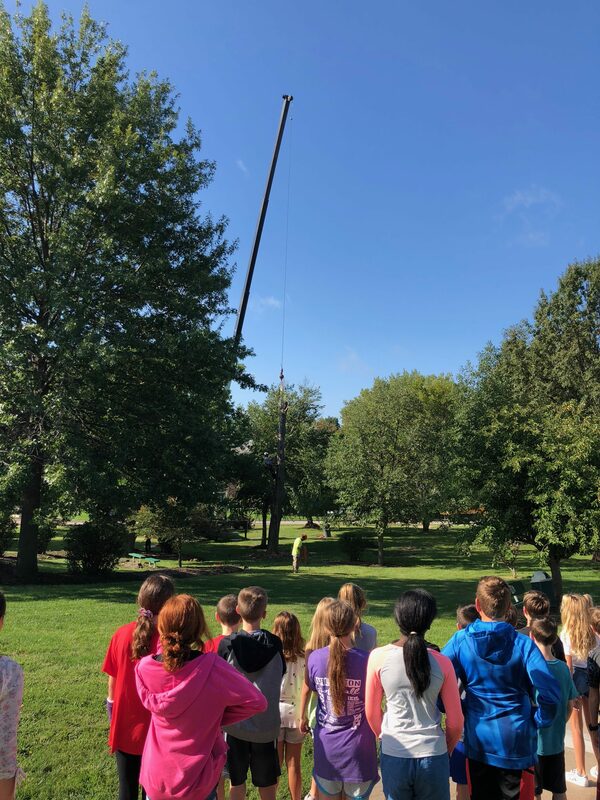 Once the project began, students discussed how the technology improvement of a crane and power saws have brought about a more efficient way to accomplish the task they were viewing. Where before handsaws required heavy labor and a large crew to safely remove a tree, a power saw allows for less manual labor, but still needs a crew for safety. 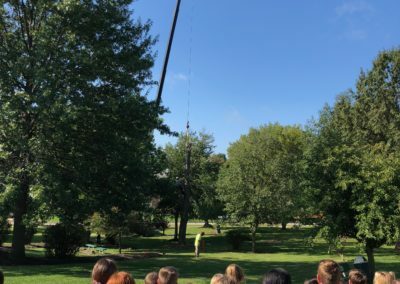 Students had the chance to brainstorm new creative solutions and discuss how they thought the tree would be removed while they watched as it was efficiently and safely taken down.